1 left in stock. Delivery time: 3-5 working days Replenishment is already on the way. 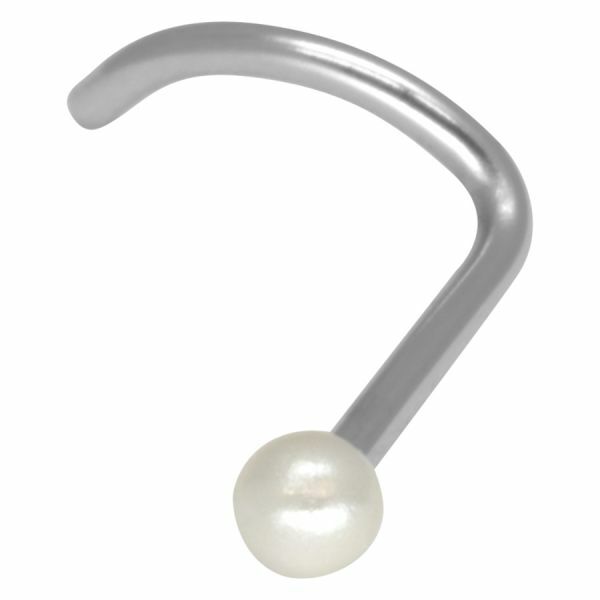 This BioPlast Jewelled Nose Stud is the inconspicuous stud for your nose, which does not lay it on too thick. The terminal is made of gold 18 karat and has a flower shape with six tiny clear rhinestones. The jewellery can NOT be autoclaved! Due to the skin friendliness of the material it is absolutely harmless to allergic persons.